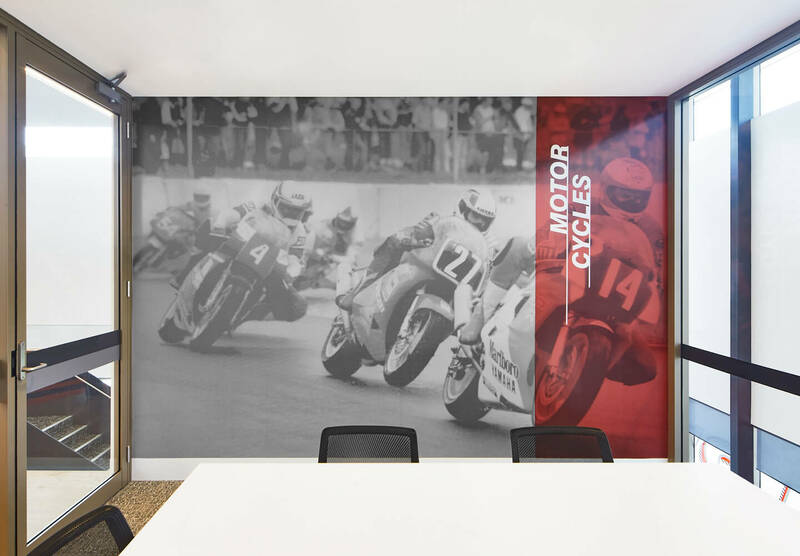 Weaving tales of the raceway into the built environment. 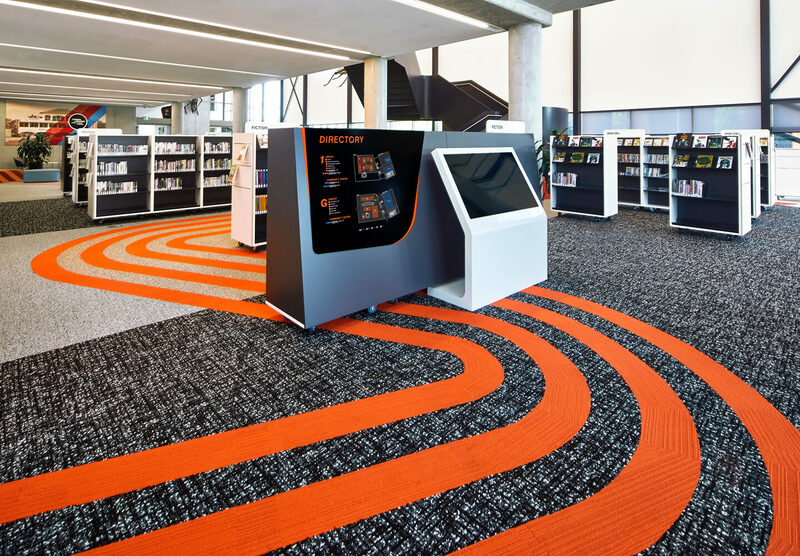 Oran Park Library is a 2,500sqm multi-purpose $14 million redevelopment, which sits on the site of the former Oran Park Raceway. 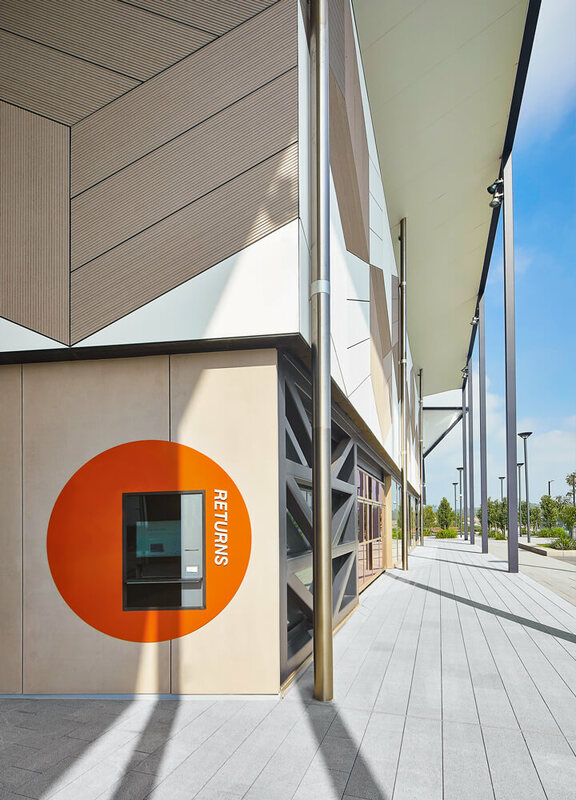 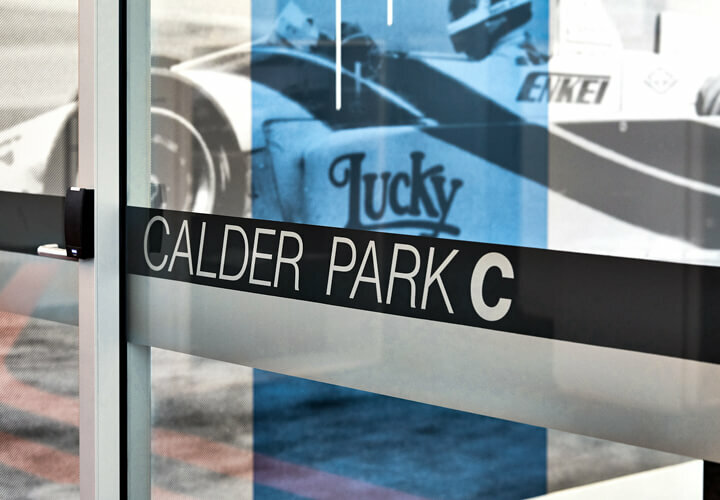 It was our role as wayfinding designers to help weave the story of Oran Park Raceway into the built environment so that future generations feel connected to its past. 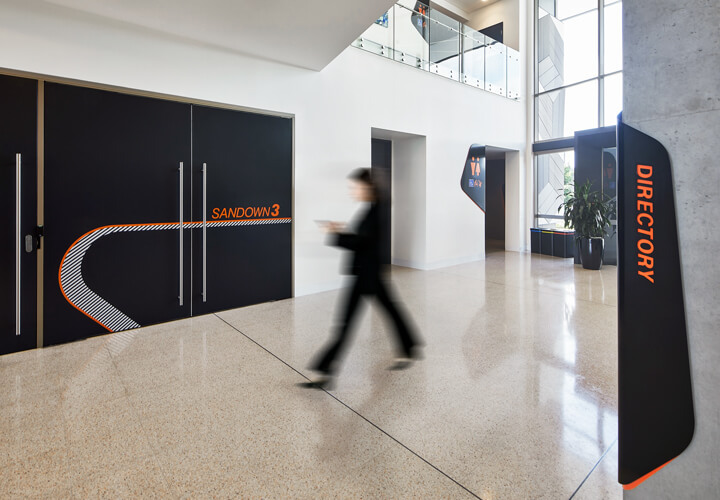 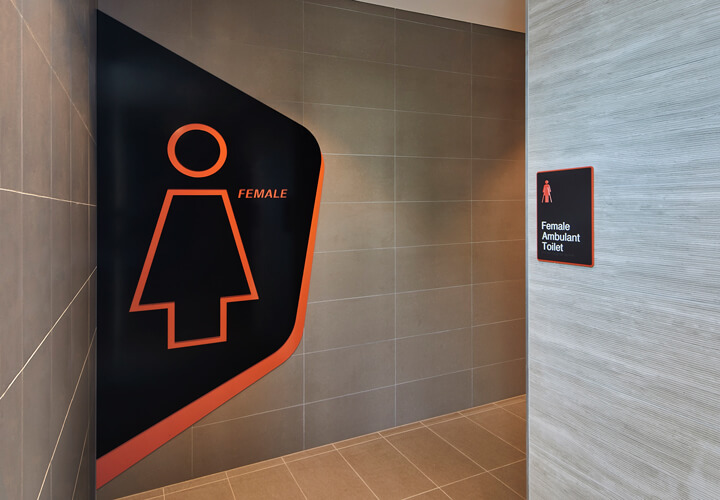 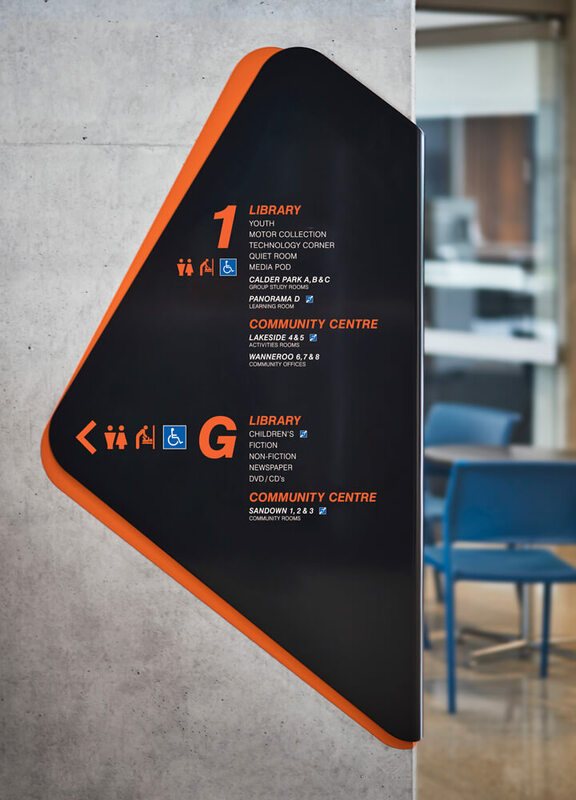 Working with architects Brewster Hjorth, we needed to ensure the interior of the building is as dynamic as the exterior using wayfinding design and environmental graphics. 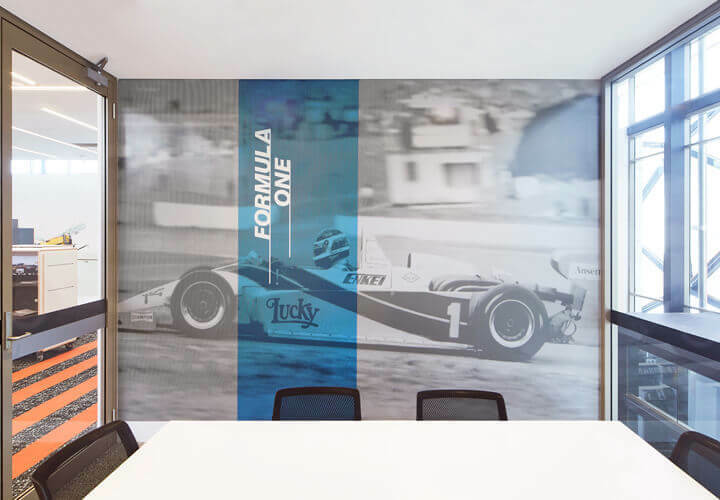 There are tributes to Oran Park’s racing heritage at every turn: wall graphics feature racing stripes and a slanting, speeding typeface; super graphics represent all the different kinds of races that took place at Oran Park. 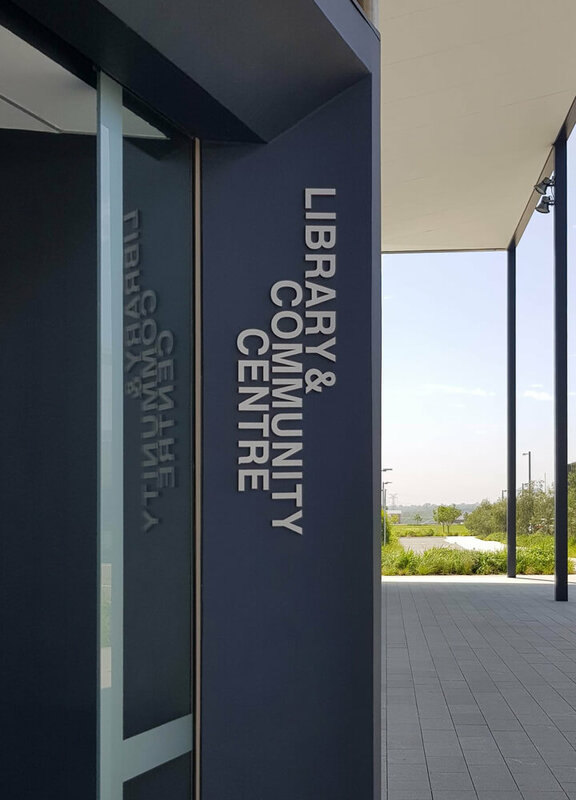 Even the directories mimic the curves of Oran Park’s infamous circuit, cornering the walls themselves. 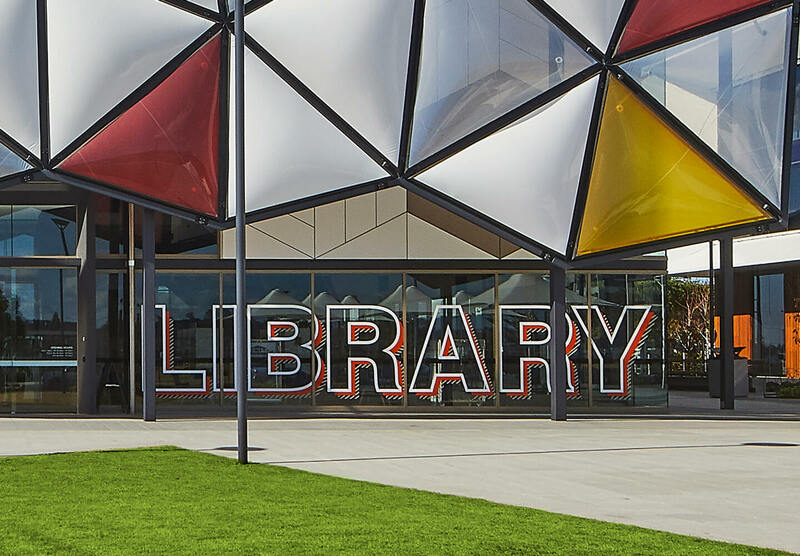 Since opening in June 2018, Oran Park Library has won the prestigious Western Sydney Leadership Dialogue Outstanding Community Project of 2018.